During the country’s civil war, journalists provided accurate information, while risking their lives. 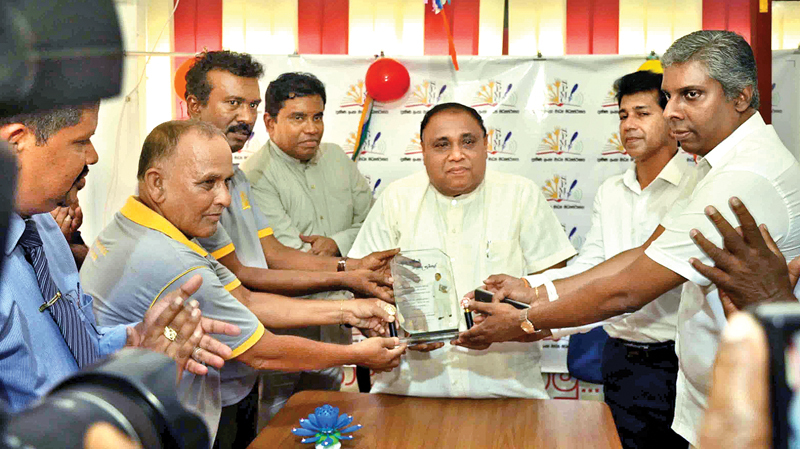 Their commitment helped keep the nation and the world informed on the true situation of the conflict, Southern Province Chief Minister Shan Wijayalal de Silva said. He was addressing a media briefing at the Southern Province Media Centre (SPMC) in Galle, on Friday. Galle Mayor Priyantha Sahabandu, Southern Provincial Councillor Sanjiv Karunathilake, Deputy Galle Mayor Fauzal Niyas and Attorney-at-Law Thusara De Silva were present. The Chief Minister’s birthday was also celebrated during a brief function prior to the briefing. “I commend the services of journalists, while attempting to maintain a cordial relationship with them,” he said. “We sometimes witness rifts and misunderstandings between politicians as well as the media, which unfavourable for the country’s progress. I believe that the relationship between politicians and the media should always be healthy,” the chief minister added. “I have been active in politics for nearly three decades. When I was first appointed as the Sri Lanka Freedom Party Chief Organiser (SLFP) for the Ambalangoda electorate, I pledged before late Party Leader Sirimavo Bandaranaike that I would uphold carry out my duties without fail,” he said. “Certain decisions would be unfavorable for political progress and as such, we should follow a just path, and not what is popular,” Chief Minister de Silva added.